NEWBURYPORT — Plumfest is returning May 18 for a fifth annual celebration of local music and community, once again turning Plum Island’s porches to stages and its backyards to dance floors. NEWBURYPORT – When a new movie in a series or a remake comes out, staff at Newburyport Public Library works to help cinema fans catch up with regular “Sequel Cinema” events. AMESBURY – The Bartlett Museum at 270 Main St. will offer tours of the museum each Sunday, starting May 26 and running until Sept. 1 from 1 to 3 p.m. for a small fee. WEST NEWBURY – The following is the Pentucket Middle School honor roll for the third quarter of the school year. NEWBURYPORT – Merrowhawke Nature School will hold its annual fundraising auction Saturday at Alnoba in Kensington, New Hampshire. MERRIMAC – Thirty classic children’s toddler wooden library chairs are available now at Merrimac Public Library to be transformed into works of art by book lovers of all ages. SALISBURY — A cloud hanging over the prospect of allowing retail marijuana in town may soon be clearing. SEABROOK — A two-alarm fire destroyed a home Sunday but firefighters rescued three cats that are "alive and well," according to Fire Chief Bill Edwards. GROVELAND — The town’s police chief thought his department’s official patch needed a new look, so he worked with a local graphic designer to incorporate something old for a new look. NEWBURYPORT — State Sen. Diana DiZoglio, D-Methuen, will update local residents on legislation of interest to the community at a meeting Wednesday at Plum Island Coffee Roasters. AMESBURY — The Amesbury Improvement Association has been planting trees in the community for more than 150 years and is inviting the city to join the organization for a special Arbor Day celebration Saturday. Mark your calendars to participate in the annual Town Meeting on May 6 at 7 p.m. at Pine Grove School, and the annual town election on May 14 from noon to 8 p.m. at St. Mary’s Church. NEWBURYPORT — A summer staple on the Newburyport waterfront might be sailing away for good, according to a social media message. SALISBURY — A plan to build a digital billboard off of Interstate 95 will have to wait another month for Conservation Commission approval after the board continued its public hearing last week on the matter until May 15. AMESBURY — The cold rain couldn't stop a group of about 50 striking Stop & Shop employees from picketing their local workplace Thursday. NEWBURYPORT — Award-winning journalist and writer Elaine Weiss was named the honoree of the 14th annual Newburyport Literary Festival, where she will discuss her latest novel "The Woman's Hour" and the lengthy fight for women's suffrage. NEWBURYPORT — The city will celebrate the opening of its new parking garage with a ribbon-cutting ceremony May 13. Nathaniel Hawthorne’s novel “The House of the Seven Gables” was published 168 years ago, but it has always kept pace with the times. The latest frisky Disneynature film, “Penguins,” creates a character introduced as a 5-year-old Adélie penguin that the screenwriter, David Fowler, has named Steve. The gallery signs warn not to touch. The real-life Tippy sits on his owner’s lap and wills himself awake, lifting his heavy eyelids as Mary Beth Stevens strokes his head and soft coat. A century ago, weathered shanties lined Joppa Flats in southernmost Newburyport, a hardscrabble stretch where clam shuckers were king. I generally prefer all the dishes I can make from bits and pieces of ham, but first, let’s start with serving a beautiful roast ham for Easter dinner. Haverhill, Massachusetts - Cheryl Ann Marsh passed away on April 7 at the High Point Hospice House in Haverhill, Massachusetts. Cheryl was the eldest child of Dr Frederick Ernest Marsh and Betty Jean Marsh (Edwards). She was born and raised in Council Bluffs, Iowa. Cheryl graduated from Abraham Lincoln High School in 1970. She graduated from Iowa State University and eventually received an advanced degree from Boston University School of Public Communication. Cheryl never came home from the east coast, living in various coastal cities north of Boston. She tried her luck at marriage twice, but her steadfast loves were the ocean and her dogs. Her greatest work related achievement was being instrumental in the approval of Seabrook Nuclear Power Plant. She later owned and operated a bed and breakfast and a floral shop. She is survived by her brother Dr. Fred Marsh, sister Judith (Matt) Devereaux and numerous nieces and nephews. She was proceeded in death by her parents and brother Gary Marsh. Special thanks to the compassionate care delivered by the physicians and staff of Exeter Hospital and High Point Hospice House. A private family service is planned. East Moline, IL - Patti J. Pelletier died unexpectedly on Sunday, April 14, 2019, after a courageous battle with lung cancer. Patti was born in Newburyport, Mass. on March 20, 1958. She was the daughter of the late Joseph E. and late Irene C. Pelletier. Patti was an excellent sewer, quilter, crafter, and avid fan of the New England Patriots. Her favorite place was by the ocean. She loved her family, especially her grandchildren. She was a beloved daughter, sister, aunt, friend and meme&eacute;. She is survived by her son, John "JT" Genna, and wife Aimee of Brooklyn, Conn.; her daughter, Angel, and husband Nate Spence of Camanche, Iowa; her siblings Irene and husband Ronald "Ripper" Cox, John "Butch" and wife Sheila Pelletier, Dianne and husband Ronald "Hunka" Perron, Stephen "Froggy" and wife Patricia Pelletier, Michael Pelletier; along with her beloved grandchildren Anthony and Vincent Genna; Stevie, Paxton, and Tavian Spence; and many nieces, nephews, and extended family. She was also predeceased by her sister Joanie Pelletier. A celebration of life ceremony will be planned for the summer on the beach as were Patti's wishes. Donations in her memory can be made to the American Cancer Society. Haverhill - Edward L. Gately, 86, of Haverhill, formerly of Groveland and Salisbury, passed away peacefully Friday, April 19, 2019, at the Country Center for Health and Rehabilitation in Newburyport. His loving family was at his side. He was the devoted husband of Gisele (Vaillancourt) Gately. Edward was born August 26, 1932, the son of the late Charles and Alice (Dewhirst) Gately. He was raised in Bradford, having graduated from Sacred Heart Middle School in Bradford and St. James High School in Haverhill. Edward was also a graduate of Bentley University in Boston. He honorably served his nation in the U.S. Army during the Korean War. During his service he was awarded the Korean Service Medal, United Nations Service Medal, Good Conduct Medal, and the National Defense Medal. Edward was an accountant who most recently was employed with the Copyright Clearance Center in Danvers. He was associated with the firm for over 10 years before retiring. He enjoyed New England sports, most especially the Red Sox. Edward was a Third-Degree Knight of Columbus with Christ the King Council in Groveland, and was a communicant of Star of the Sea Parish in Salisbury. He loved time with his wife and family and will be dearly missed. Edward is survived by his loving wife, Gisele Gately of Haverhill; three children, Dennis Gately and wife Noelle of San Diego, Calif., Judith Snow of Groveland, and James Gately and wife Katherine of Newburyport. He will also be remembered by his six grandchildren, Christopher, Andrea, Trevor, Casey, Liam, and Dylan. Edward leaves behind a brother, Richard Gately; sister, Nona Beauvais; several nieces, nephews; and countless friends. Family and friends are respectfully invited to attend visiting hours, Wed., April 24, 2019, from 4 to 7 p.m., at the Grondin-Carnevale Funeral Home, 52 Salem St., Bradford, MA 01835. A funeral Mass to celebrate Edward's life will be held Thurs., at 10:30 a.m., at the Star of the Sea Parish, 18 Beach Rd., Salisbury, MA. Burial will be private. Donations may be made to the American Cancer Society by visiting www.cancer.org. For directions or online condolences, please visit www.GrondinCarnevale.com. Stratham, NH - John E. Hopwood, 53, passed away unexpectedly Saturday, April 13, 2019, in Stratham, New Hampshire. Born in Newnan, Georgia, on January 1, 1966, to David G. Hopwood and Rosalie Lemine Hopwood. Raised in Andover, Massachusetts, by his father and step-mother, Nancy Rizzuto with his five siblings, Deena, Laura, Greg, AnaJill (AJ), and James (Jaime) Hopwood. John was a graduate of Andover High School.&nbsp; He enlisted in the United States Air Force at age 19 for six years during which time he received numerous accolades, including the Air Force Achievement Medal, Good Conduct Medal, NCO Professional Military Education, National Defense Service Medal, Overseas Service Tour Ribbon, Training Ribbon, Longevity Service Award and Outstanding Unit Award, and appointment to Staff Sergeant. He lead courageously in Operation Desert Shield. Following his service in the United States Air Force, John attended UMass Lowell and studied Engineering. He worked as a Systems Engineer excelling in his field for nearly 30 years to senior level positions in Network Systems Communications, finishing his career at HMS in Beverly, Massachusetts. John loved sports and hiking from an early age, enjoying basketball, running, fishing, and especially hiking in the White Mountains of New Hampshire with his father and siblings, then later with his own children. He cherished spending time in nature and with animals, especially with his Rottweiler Elwood. He loved reading, travel and cooking with and for his family and friends. He enjoyed bringing loved ones together for joyous celebrations, and being in the moment. Most of all, he loved his family, especially his four children. He lived by the motto: family first. John is survived by his parents; siblings; step-mother Nancy Burakoff Hopwood; former wife Carmen Asteinza; his beloved children David (23), John Edward (21), William (15), and Madeline (12); and countless nieces, nephews, cousins, and soul family. John will be deeply missed by everyone whose life he touched. Family and friends may call from 4 to 8 p.m. on Thursday, April 25, 2019, at the Twomey, LeBlanc, & Conte Funeral Home, 193 High St., Newburyport, MA 01950. His funeral Mass will be celebrated at 10:30 a.m., on Friday, April 26, 2019, at Immaculate Conception Church followed by burial in the Veterans Section of Highland Cemetery both in Newburyport. In lieu of flowers donations can be made in John's honor to The Wounded Warrior Project at https://support.woundedwarriorproject.org. For directions or to offer online condolences, please visit www.tlcfuneralhome.com. Salisbury - Martha A. Calderwood, 74, died Friday, April 19, 2019, at Portsmouth Regional Hospital with her loving family by her side. She was born in Newburyport on May 22, 1944, to the late Clarence and Marion (Staples) Brown. Raised and educated in Newburyport she was a graduate of Newburyport High School. Following her graduation Martha was employed by several local companies before becoming a Quality Control Inspector, on the third shift for Owens Illinois. She retired after 39 years of dedicated service. During her retirement, Martha furthered her education at Northern Essex Community College. Upon graduation, she took a position at the Harbor School in Newbury and loved working with the children. She enjoyed traveling, with Bar Harbor holding a special place in her heart. She also enjoyed going on whale watches with her grandchildren, and baking her famous Christmas cookies by the dozens. Martha is survived by her son Daniel Calderwood and his wife Lori of Seabrook; grandchildren, Amy Casey and her husband Henry, and Ashley Calderwood; great-grandchildren, Ayla, Charlotte, and Ethan. She also leaves behind her loving partner of over 20 years Harold Vadeboncoeur; as well as his many children, grandchildren, and great-grandchildren. In addition to her parents Martha was predeceased by her husband Bernard Calderwood. Family and friends may call&nbsp;on Wednesday, April 24, 2019, from 9 to 11 a.m., at the Twomey, LeBlanc, & Conte Funeral Home, 193 High St., Newburyport, MA 01950. Her funeral service will be celebrated in the funeral home after the calling hours at 11 a.m., followed by burial at Longhill Cemetery in Salisbury. In lieu of flowers memorial contributions may be made in Martha's name to the American Cancer Society, P.O. Box 22478, Oklahoma City, OK 73123, or online at https://donate3.cancer.org/. For directions or to offer online condolences, please visit www.tlcfuneralhome.com. 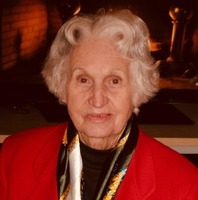 Redwood City, CA - Claire (Ward) Westhafer passed away on April 6, 2019 in Redwood City, CA. She was 95. Claire's husband Bill predeceased her in 2001. Claire was born in Perth Amboy, New Jersey in 1923 to the late Edward and Margaret (Connor) Ward. She attended Catholic schools there, followed by a local junior college and working at General Cable Company. In 1945, Claire became a flight attendant for Eastern Airlines. Her job took her to Miami, where she met her future husband, J. William (Bill) Westhafer, a pilot for Eastern. Claire had to leave her job when she married, as airlines required in those days. Bill remained a captain for Eastern his entire career, and Claire and Bill enjoyed traveling the world, often with their many airline friends. Claire and Bill lived in Levittown and Huntington, NY, followed by many years in Byfield, MA, where they raised their two children. They later moved to Miami, and upon Bill's retirement, to Mount Dora, Fla. In her later years, Claire moved to California to be near her daughter. Claire was an avid golfer and bowler. When arthritis made golf impossible, she took up lawn bowling and working out at the gym. She loved movies, socializing with friends, dancing and reading. Claire volunteered at Anna Jaques Hospital in Newburyport, St. Mary's Catholic church in Rowley, South Miami Hospital, and Cornerstone Hospice in Mount Dora. In 1954, Claire co-founded the Silverliners, an organization of retired Eastern flight attendants, and was active in its charitable and social activities most of her life. Claire is survived by her son W. Ward Westhafer and Barbara Rogers of Newbury, MA; daughter Jamie Das of San Carlos, Calif.; grandchildren Elizabeth, Kevin and Jessica; and two great-grandchildren. Services for Claire will be private for the family. To leave a message of condolence please visit https://www.crippenandflynnchapels.com/obituary/claire-westhafer. In lieu of flowers, a donation in her memory may be made to Cornerstone Hospice of Tavares, FL at https://web.cshospice.org/foundation/giving/. 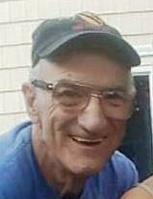 Newburyport - Paul Peter DiNatale, age 67, of Newburyport, formerly of Milton and South Boston, passed away, peacefully, after a period of declining health, Monday, April 15, 2019. He was the beloved son of the late Barbara (Sisk) DiNatale and Dr. Peter DiNatale. Loving brother of Barbara DiNatale and her husband Jack Smyth of Hanover, Perry DiNatale and his wife Christina Reynolds of South Boston, and the late Peter DiNatale, Jr. He was the proud uncle of Henry and Vincent DiNatale of South Boston. In addition to his family, Paul leaves behind his awesome friends, Tom, Al, Henry, Paula and Gary. Paul grew up in Milton, and graduated from St. Agatha's School, Thayer Academy, and Villanova University where he played and coached soccer. He went on to Boston University where he received his MA from the School of Communications. 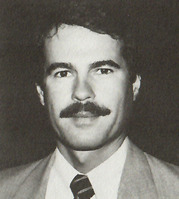 Paul began his career in 1976 as the Director of Public Affairs for the City of Boston Economic Industrial Corporation. Two years later he became the Public Information Specialist for the Federal Highway Administration Office of Public and Consumer Affairs. From there, he was appointed the Information Editor in Chief and Chief Spokesman for the MBTA. Everyone listened when he relayed information during the Blizzard of 1978 from his home in Humarock. He was recruited from there to become the Media Relations Officer for Blue Cross Blue Shield, and finally retired as the Manager of Media Relations for the Massachusetts Water Resources Authority. He was a frequent guest of talk radio and Boston television discussing the muddy water details of the day. Paul served on various Boards of Directors, including Boston University College of Communications Alumni Association and Italian Americans in Communication. He was a past vice-president of the Public Relations Student Society of America and former member of the Publicity Club of Boston and the Dalton Club of Newburyport. He loved attending Mass. He was an avid art collector, and enjoyed the many local art shows in his community. His greatest passion was for the New England Patriots. At Paul's request, funeral services and interment were private. For those who wish, donations in Paul's memory may be made to the Peter J. Benelli Writing Center Fund, c/o Thayer Academy, 745 Washington Street, Braintree, MA 02184, or the Nancy DiNatale Taylor '60 Fund, c/o Thayer Academy, 745 Washington Street, Braintree, MA 02184. Arrangements were under the direction of the Sweeney Brothers Home for Funerals, 1 Independence Avenue, Quincy. You are invited to visit www.thesweeneybrothers.com or call 617-472-6344. Palm Beach Gardens, FL - Debra Ann (Conroy) Raftery, 65, of Palm Beach Gardens, Fla, formerly from Newburyport, Massachusetts, passed away surrounded by her family on April 10, 2019 after a courageous battle with cancer. She is survived by her husband Kevin Raftery, her son, Shawn MacDonald and wife, Kaitlyn and their children, Isla and Graham, her daughter, Kelly MacDonald and husband, Eugene Fillios and their son Xanthe, and her stepdaughter, Dawn Bradbury and husband Derek and their children, Kelsey, Madison, Sydney, Sophie, and Piper. Debra is also survived by her mother, Lorraine Normand and her brother Alec Szymanski and his wife, Kelley and their children, Zachery, Tyler Brook, and Thomas. Debra was a much-cherished and beloved wife, mother, daughter, sister, and friend. Born on March 18, 1954, Debra was raised in Dracut, MA where she attended high school. After graduating from Middlesex Community College, she began a successful career in the high-tech industry working for global organizations where she made significant contributions in roles ranging from marketing to technical and program management. After Debra and her husband, Kevin moved to Florida, she followed her creative side and prowess in design, quickly establishing herself as a well-respected and successful interior designer. She took much pride and joy in helping her clients envision how to reimagine their living spaces. Outside of Debra's professional career, she loved cooking and entertaining for her family and friends. She loved to travel, spending memorable times in the White Mountains hiking and skiing, beaching at their Plum Island home, tasting artisan pastas in Italy, tracing her roots in Poland, adventuring abroad in Scotland, and seeking out the best wines in Sonoma. Her zest for life was as contagious as the infinite love she gave. Being together with her husband, children, and grandchildren, of whom she was very proud, was what she loved most. Debra lived for fun times with family and friends and always made everyone feel welcome and special. She loved all animals - especially the family dogs, Laya and Jake, and enjoyed horseback riding throughout her life. Debra will be tremendously missed but will never be forgotten. A private interment will be held at Oak Hill Cemetery in Newburyport. In lieu of flowers, a donation in Debra's name is kindly requested to the Sari Center, 3401 PGA Blvd. #200, Palm Beach Gardens, FL 33410. Newburyport, MA - Joyce (Kneeland) Purington, just six days short of her 90th birthday, lifelong Newburyport resident, passed Tuesday afternoon at Port Healthcare Center after a period of declining health. She was the loving and devoted wife of Percy F. Purington, Jr., who died December 27, 2018. Born in Newburyport, April 22, 1929, she was the daughter of the late C. Russell and Mildred W. (Welch) Kneeland and was a graduate of Newburyport High School, Class of 1946, then attended Salem State College. Mrs. Purington worked as a sales service representative at the former Towle Silversmiths in Newburyport for many years. She had attended the People's United Methodist Church of Newburyport. Predeceased by her husband Percy, she is survived by several cousins, including Josiah H. Welch of Newburyport, along with dear friends, all of whom will remember her dearly. At her request, burial at Oak Hill Cemetery, Newburyport will be private. Arrangements are by Elliott, Woodworth & Rogers Family Funeral Home, 35 Green Street, Newburyport. Newburyport - Gertrude C. O'Handley, 90, passed away peacefully, Wednesday, April 17, 2019, at Edgewood Retirement Community in North Andover. She was predeceased by her husband of 64 years, Robert J. O'Handley. She is survived by her daughter, Ann Stott and her husband Jeffrey, her son Robert T. O'Handley and his wife Carolyn and her grandchildren, Caleb Stott, Quintan Stott, and Breanah O'Handley, as well as many nieces, nephews, great-nieces, and great-nephews. Gertrude was a former resident of Arlington, Manchester-by-the-Sea, and Newburyport, MA. She was born in Medford, Mass. on September 5, 1928, to the late Thomas and Celia (Boyle) Murphy. She grew up in Somerville, MA and was the sister of the late Marguerite Ferguson, Mary Maloney, John "Sonny" Murphy, Barbara Danforth, Teresa Brady and Agnes Murphy. She attended St. Clement's High School in Somerville and worked at the John Hancock Insurance Company in Boston until she was married. While raising her family, she worked at Ryan's Florist in Cambridge, MA, Tri-State Realty in Somerville, MA and was also a high school basketball referee. She loved attending her grandson's sporting events and never hesitated to let the referee or umpire know if she disagreed with a call. Throughout her life, Gertrude showed amazing strength, spirit and compassion for others. Family and friends are invited to Gertrude's Funeral Mass at 10:30 a.m. on Tuesday, April 23, 2019 at the Immaculate Conception Church in Newburyport, MA, followed by burial at Pleasant Grove Cemetery in Manchester-by-the-Sea, MA. The Twomey, LeBlanc, & Conte Funeral Home 193 High St. Newburyport, MA 01950, is assisting Mrs. O'Handley's family with her funeral arrangements. In lieu of flowers, memorial contributions can be made in Gertrude's name to the Alzheimer's Association P.O Box 96011 Washington D.C. 20090, or online at www.alz.org. To offer online condolences please visit www.tlcfuneralhome.com. Newburyport, MA - Patrick Martin Mitchell was born in Newburyport on December 20, 1982 and passed unexpectedly from this world on April 14, 2019 at the age of 36. Patrick was born and raised as a Newburyport local. He was a proud member of the fun loving and lively class of 2002 at Newburyport High School where he captained the ice hockey team during his senior year. Patrick graduated from Plymouth State College with a degree in environmental planning. He soon after proudly obtained his captain's license enabling him to pursue a career on the water. Among his happiest years were those spent on the Grand Cayman Islands with his dear Irish friends. Patrick's main loves were his dog, the sea, and nature. He was a successful striper and tuna fisherman and lived for the opening of each season. Many memorable days were spent fishing on his prized vessel Terminator with his father and various crew members willing to spend endless days at sea waiting for the bite to come. We will miss his quick wit and gentle love for his dog Roma, "the best dog on the planet". He leaves his adoring parents Susan and Douglas Mitchell of Newburyport, his grandmother Lucille Mitchell of Newburyport, his grandfather John O'Leary of Florida and many loving aunts, uncles and cousins. He was predeceased by his biggest fan in life, his grandmother Brie O'Leary. By request of the family, services and burial will be private. Arrangements are by Elliott, Woodworth & Rogers Family Funeral Home, 35 Green Street, Newburyport. In lieu of flowers, memorial donations may be made to the charity of one's choice. Amesbury, MA - Melinda L. Williams, 73, of Amesbury, formerly of Westfield, MA and Iuka, MS, passed away on Friday, March 29, 2019 in the company of her devoted granddaughter. She was born in Maude, AL on November 11, 1945, a daughter of the late Cecil E. and Delila Mae (Cornelius) Hutcheson. Raised in Tishimingo, MS, she graduated from Tishimingo High School where she made many life-long friends. Following graduation she worked as a general practice nurse, then became an investigator - working with state and local law enforcement before an injury halted her career. Her primary focus was, and would remain, supporting & loving her family to the best of her ability. Despite dealing with chronic pain, she put others ahead of herself, and wanted to see her children lead happy and successful lives. Melinda had a "green thumb" and could grow anything, but her favorites were large roses and African violets. She also enjoyed watching the local birds, snowy owls, and eagles. Her grand-dog, Juniper, visited often and always made her smile. She loved spending time with family and always put others first. Her kindness, humor, love, and enthusiasm will be missed by all who knew her. She shared 40 years of marriage with her late husband David K. Williams, who predeceased her in November, 2017. Surviving family members include her three children, Susie Williams (Salt Lake City, UT), Lee Williams (North Pole, AK) Michael Spencer and his wife Melissa, (Hernando, MS); her step-daughter, Kim May (Williams) and her children: Kira, Erica, Elena, Christian, and Emmie; four grandchildren, Tiffani, Allie, Austin and Blake; her sister, Martha Jean Daily (husband, Coy Daily), and several nieces and nephews. Melinda and David helped raise their granddaughter, Tiffani. She remained their loving caretaker in life. In addition to her parents and husband, she was predeceased by her brother, James Etheridge (J.E.) Hutcheson. At Melinda's request all services will be private. Contributions to her memorial may be made to Tiffani Williams at 185 Main Street, Amesbury, MA 01913. Contributions will benefit a memorial garden and assembly later in 2019. Assistance with arrangements was provided by the Remick & Gendron Funeral Home-Crematory, Hampton. Please visit www.RemickGendron.com to view Melinda's memorial website and sign her tribute wall. 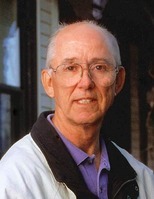 Seabrook, NH - Robert E. "Bob" Kristiansen, 78, of Seabrook, passed away unexpectedly at his home on Tuesday, April 16, 2019. He was born in Malden, on October 24, 1940, a son of the late Edmund and Hilda (Hamilton) Kristiansen. Bob had resided in Seabrook since 1962 and was the husband of the late Luceale M. (Eaton) Kristiansen. Bob worked as a floor covering installer for Union Local 2168 in Boston from 1966 until 1999. After his retirement he became an avid kayaker. His favorite times were spent paddling with his family. Family members include one son, Robert E. Kristiansen, Jr. and his wife, Cory of Raymond, two daughters, Dawn Malerba and her husband Joseph of Raymond and Robin Eaton and her husband, Mark of Seabrook, his brothers: James Coles, Jr. and William Coles both of Newmarket, Richard Coles of Chocowinity, NC, Charles Coles of Amesbury, Michael Coles of Claremont, N.H. and his sister, Cynthia Hunt of Millis, Mass. and his four grandchildren Rachel and Caleb Eaton of Seabrook, NH and Robert and Emily Kristiansen of Raymond, NH. In addition to his parents he was predeceased by his sister, Evelyn M. Perkins and his brother, John R. Kristiansen. Friends may visit from 5 to 6 p.m. on Monday, April 22, 2019 in the Remick & Gendron Funeral Home-Crematory, 811 Lafayette Road, Hampton, NH. Services will follow the visitation starting at 6 p.m. in the funeral home. Burial will be private. If desired, memorial donations may be made to the New Hampshire Food Bank. Please visit www.RemickGendron.com to view Bob's memorial website, to sign his tribute wall or for directions. 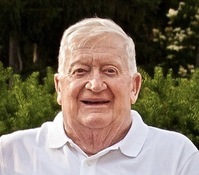 Andover - Normand W. Bourgeois, 87, of Andover passed away peacefully on Wednesday, April 17, 2019, at Care Dimensions Hospice House in Lincoln. Born in Amesbury, he was the son of the late Arthur and Marie (Roy) Bourgeois. Raised in Amesbury, Norm was a graduate of Amesbury High School and Merrimack College. A U.S. Army veteran, he served his country proudly in the Military Police. He was an electrical engineer at Raytheon Co. for over 35 years. After his retirement, Norm volunteered much of his time at the Lazarus House. He enjoyed a good round of golf, was passionate about music and gardening, spent winters with friends in Florida and summer vacations with family at Lake Winnipesaukee. Family was most important to Norm and he loved to host family gatherings in his beautiful backyard. Supportive and loving, he would do anything for his family and friends; he was quick to lend a helping hand and would often attend his grandchildren's activities. Norm was predeceased by his sister, Aline Curry. He is survived by his beloved wife of 60 years, Barbara (Paine) Bourgeois; his children, Cheryl Knight and her husband, Chip, of Merrimac, MA, Diane Bourgeois of Marblehead, David Bourgeois and his wife, Sherie, of Derry, NH, and Donna Sites of Keene, NH; brothers, Roger Bourgeois of Amesbury and Arthur Bourgeois and his wife, Karen of Plymouth, NH; sister, Rita Bourgeois of Amesbury; grandchildren, James, Kathleen and Alexander Knight, Jacob Bourgeois, Isaac and Cat Sites; great-grandchildren, Lanie, Eveie, and Liam Knight. He also leaves many nieces and nephews. Relatives and friends are respectfully invited to attend a memorial visitation on Saturday, April 20, 2019, from 1 to 4 p.m. at Cataudella Funeral Home, 126 Pleasant Valley Street in Methuen. In lieu of flowers, donations may be made in Norm's name to The Lazarus House, PO Box 408, Lawrence, MA 01842 or Care Dimensions Hospice House, 125 Winter Street, Lincoln, MA 01773. For on-line condolences or directions, please visit www.cataudellafh.com. 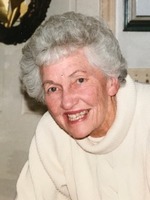 Amesbury, MA - Claire I (Blanchard) Bartlett passed away peacefully on April 15, 2019 at her residence. She was born in Amesbury on July 1, 1936, daughter of the late Joseph and Irene Blanchard. Claire was a lifelong resident of Amesbury, a graduate of Sacred Heart School and Amesbury High School. She was a longtime member of the St. Anne Sodality of Sacred Heart Parish until it disbanded and a member of Holy Family Parish. Claire loved her husband, children, grandchildren, and her community. She was married over 55 years to Frank A. Bartlett before he passed in May of 2013. She is survived by three children, James Bartlett of Mountain Home, Idaho, Linda (Bartlett) Moore and her husband Roger of Manakin-Sabot, Va., and John Bartlett of Westford, MA. Claire loved her two grandsons, Joseph and Timothy Moore. She also leaves many nieces and nephews who she loved dearly, and many good friends. Her funeral mass will be celebrated this Monday April 22 at 10:30 a.m. in the Holy Family Parish 2 School St. in Amesbury. Burial will follow in the St. Joseph's Cemetery. There are no calling hours. In lieu of flowers, memorial donations may be made in her name to the St. Vincent de Paul Society 9 Sparhawk St. Amesbury, MA 01913. Arrangements are by the E.V. Jutras & Sons Funeral home in Amesbury. Amesbury, mA - Arlene H. Fournier passed away on Monday April 8 at Merrimack Valley Health Center in Amesbury. She was born in Long Pond, Maine. on June 8, 1932, daughter of the late Horace and Lettie (Moore) Barriault. She was the wife of the late Leo Paul Fournier who passed away in 2014. She was a longtime Amesbury resident and worked many years as a nurses aide in local nursing homes. The family thanks the Merrimack Valley Health Center and Brookhaven Hospice for their kindness and care. She is survived by two daughters. 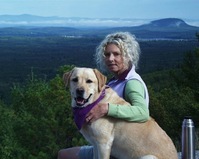 Mary Jane Fournier of Peabody, MA. and Cheryl Rines and her husband Bruce of Salisbury, MA., two grandchildren, Michelle Rines of Haverhill and Matthew Rines of Salisbury. A funeral mass for Arlene will be celebrated this Tuesday, April 23 at 10:30 a.m. in the Holy Family Parish Church 2 School St. in Amesbury. Burial will follow in the Union Cemetery in Amesbury. An hour of visitation will precede the Mass from 9 to 10 a.m. at the E.V. Jutras & Sons Funeral Home, 118 Friend St., in Amesbury. Newburyport, MA - Margaret A. (Brockelbank) Fuller, age 99, longtime Salisbury resident, passed peacefully Tuesday afternoon at Country Center in Newburyport in the loving presence of her family. She was the beloved wife of the late Frank A. Fuller, who died March 18, 1983. One of three children of the late Edward H. and Roseanna (Houle) Brockelbank, she was born in Newburyport on February 10, 1920 and was a graduate of Newburyuport High School. Mrs. Fuller had worked many years at the former H. W. Pray Company clothing store in Newburyport as well as the former Rupert Rhodes Shirt Factory. While her daughter was growing up, Margaret was a Girl Scout leader for several years. She was also a longtime volunteer at the Anna Jaques Hospital, and volunteered for the bean suppers at St. Aloysius Church on Federal Street. As a woman of great faith, she was a very active member of the Star of the Sea Church in Salisbury. Margaret was an extremely talented seamstress, making clothing for her family or items for church or craft fairs, and in her spare time enjoyed doing crossword puzzles. Her greatest joy in life came from doing things for others. Her life's passions will always be remembered and treasured by her daughter, Barbara J. Fernald and husband Glenn of Salisbury; her sister, Viola Johnson of Rowley; her grandson, Brian Fernald of Los Angeles; her nephews, Jon Jay Johnson and wife Mary of Newmarket, NH and Ralph Johnson and wife Joanne of Newbury; her nieces, Freda Smith and husband Dan of Ohio, Becky Berry and husband Dave of Indiana and Kay Yoder and husband Calvin of Indiana, as well as by her many great nieces and nephews, extended family and dear friends. In addition to her husband and her parents, she was predeceased by her brother, Edward Brockelbank, Jr., and her niece, Nina Warner. Funeral services and burial at Belleville Cemetery will be private for the family. In lieu of flowers, donations in her memory may be made to St. Jude Children's Research Hospital, 501 St. Jude Place, Memphis, TN 38105. Arrangements are by Elliott, Woodworth & Rogers Family Funeral Home, 35 Green Street, Newburyport. Haverhill - George C. Deveau, 74, husband of the late Sherril D. (Brunelle) Deveau, passed away April 12, 2019, at his residence. Born in Haverhill, he was the son of the late Joseph L. and Beulah (West) Hill Deveau. Raised and educated in Haverhill, he attend Haverhill Trade School. George enlisted in the United States Army, serving in Vietnam and attaining the rank of Sergeant. He was proud of his service to his country and was awarded the Purple Heart. He served in the National Guard after his honorable discharge and was active in the veteran's community. George was employed as a welder for many years and was a member of the International Brotherhood Union of Sheet Metal Workers in Salisbury while he worked at Air Flow Systems. He was also employed at Wolverine in Merrimac. George enjoyed playing cards, playing pool with his sons, paintballing and bowled for many years at the former Pilgrim Lanes in Haverhill. George often fished with his son-in-law at Seabrook Beach in New Hampshire. He was an avid artist, enjoying sketching, and building birdhouses in his retirement. A devoted husband to his late wife Sherril, whom he shared 50 years of marriage, he loved spending time with his family. George will be missed by all who knew and loved him. George is survived by his children, James N. Deveau and his wife Robin of Amesbury; Pamela J. O'Leary and her husband Scott of Maple Grove, Minn.; Julie A. Greene and her husband William of Groveland; Joseph M. Deveau and his partner Elisa Parolisi of Haverhill; Tracie L. Guarino and her husband Tory of Haverhill; seven grandchildren, Kimberly Harlow, Rachel Deveau, Tyler O'Leary, Paige O'Leary, Taylor Guarino, Joshua Greene, Amanda Greene; two great-grandchildren, Ava Harlow and Kayden Harlow; his brother William R. Deveau and his wife Teenie of Haverhill; his sister Margaret Deveau Bourque of Haverhill; several nieces and nephews including Michael Deveau, his godson. In addition to his loving wife Sherril, George was predeceased by his sibilings, Joseph Deveau, Mary Deveau Yurl, and Edmond Deveau; his parents Joseph L. and Beulah Deveau Hill and his step-father William "Willie" Hill. Family and friends are respectfully invited to attend calling hours on Thursday, April 18, 2019, from 5 to 7 p.m., at the Kevin B. Comeau Funeral Home, 486 Main Street, Haverhill, Massachusetts. Funeral services will be on Friday in the funeral home at 10 a.m. Burial will follow in Elmwood Cemetery, Salem Street, Bradford, Massachusetts. In lieu of flowers, memorial donations may be made in his memory to the Veterans Association, VA Boston Healthcare System, Pallative Care, 1400 VFW Parkway, West Roxbury, MA 02132, ATTN: Kathleen Dunn. Please visit Comeau Funeral Home on Facebook, or www.comeaufuneral.com. 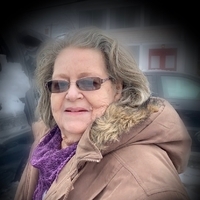 Amesbury, MA - Violet Frothingham, 74, passed away peacefully at Merrimac Valley Health Center in Amesbury, Mass., on Friday, April 12, 2019. Violet born and raised in Newburyport, Mass. She was a graduate of Newburyport High School and a true Clipper at heart. Violet is survived by her three children Kevin Frothingham, Charles "Chucky" Frothingham, and daughter Marla Reagan; grandchildren, Tiffany Fischer and her husband Michael Fischer, Violet Combs and her husband Brad Combs, Christian Ellis, and Mario Angeloni; as well as great-grandchildren, Nicholas and Chase Combs, and Michael and Ansley Fischer. Violet was preceded in death by her lifelong love, Charles "Charlie" Frothingham. Violet was a loving mother, grandmother, and great-grandmother. She loved helping others, had an infectious laugh, and an incredibly spunky personality. 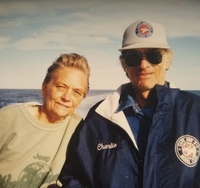 She loved the ocean and always said that some of her happiest moments in life were spent on Charlie's boat, the Violet J., enjoying a whale watch on the Capt. Red, or driving along the coast in her Jeep Wrangler, lovingly named "Phoebe." Despite her children and grandchildren's protest, Violet was an avid Yankees fan and loved rooting against any team they faced, including our hometown team, the Boston Red Sox. Violet enjoyed being outdoors, gardening, playing card games, letting her grandchildren "beat" her at Scrabble, cooking, and was extremely passionate about beekeeping. Violet touched so many lives with her warmth, kindness, and compassion. She will be deeply missed by her family, friends, and loved ones. In lieu of flowers, Violet's family has asked for donations in her name to The Pettengill House. Services by the E.V. Jutras & Sons Funeral Home in Amesbury will be held at a later time. Seabrook, NH - Maurice B. "Moe" Randall Jr., 81, of Seabrook, died Sunday, April 14, 2019, at Exeter Hospital after a period of failing health. He was born in Seabrook, May 15, 1937, the son of the late Maurice B. and Beatrice (Trickey) Randall Sr. Moe was raised in Seabrook and resided here his entire life. He was employed by the former Bailey Corporation for 37 years retiring in 2000. He loved his Harley Davidson motorcycles and enjoyed riding up until last year. He was a member of the Sons of the American Legion Post 70 and the American Legion Riders Club. He was an avid pool player and loved camping with family and friends. He shared 33 years of marriage with the love of his life, Cheryl "Shay" (Hart) Randall. In addition to his wife, family members include his daughter and son-in-law, Terri and Bob Franklin, along with their two children Gage and Kady Franklin. He is also survived by his daughters Maureen Paquette, Betty Randall and Terry Provencher; grandchildren, Maurice Randall III, Josh Provencher, Justin Fowler; two great-grandchildren, Luke Fowler and Bonnie Lou Fowler; his brother Robert McLaughlin; and his sister Ivy Jones; nieces and nephews. In addition to his parents he was predeceased by two sisters, Jo Jo and Alice. A graveside service will be held at 11 a.m., Thursday, April 18, 2019, in the Wildwood Cemetery, Seabrook. Relatives and friends are respectfully invited. In lieu of traditional remembrances donations may be made to a charity of one's choice. Arrangements are by the Remick & Gendron Funeral Home-Crematory, Hampton. Please visit www.RemickGendron.com to view Moe's memorial website sign his tribute wall or for directions.